Before arriving in Prague, we had a few ideas about what Czech food would be like. 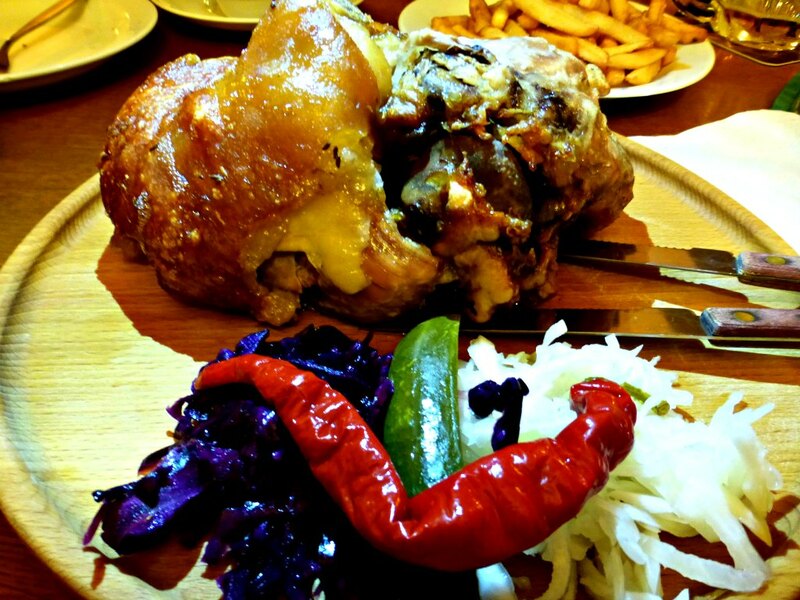 When we thought of Czech cuisine, we pictured heavy meaty dishes that we’d wash down with plenty of cold beer. And while we certainly found the traditional meaty options, we found some surprises as well. 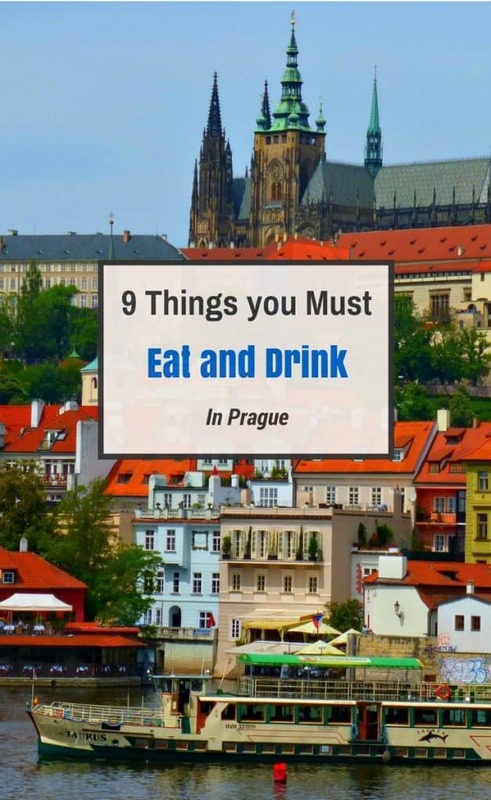 So when you find yourself in Prague, here are a few dishes that despite some of your preconceptions, you shouldn’t miss. 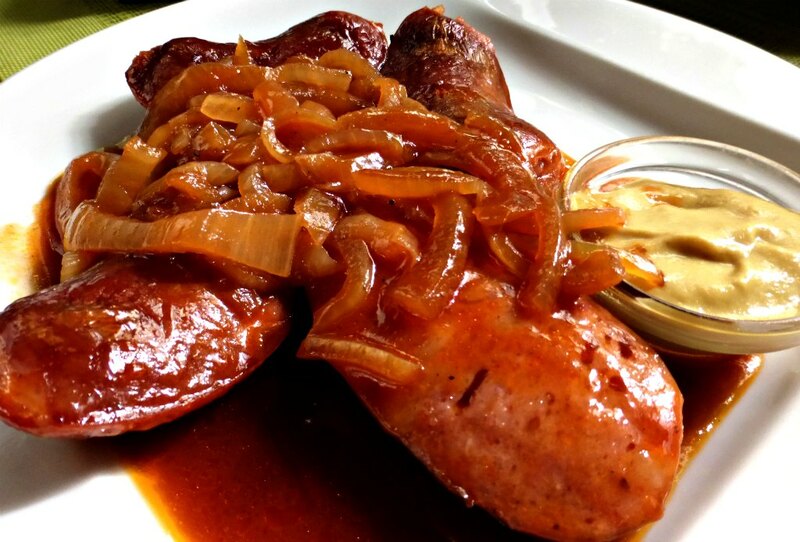 This is not just sausage boiled to death in beer and served up with a side of neon yellow mustard. These sausages are broiled and serviced with a skin that snaps slightly when you bite into it. The sauce is rich and brown and the mustard that it is paired with is slightly spicy without overpowering the flavor of the dish. Pair it with a nice Czech Pilsner and you will go home happy every time. Dumplings are almost never eaten alone, but they deserve their own entry in this list. Czech dumplings can be either wheat or potato-based and are steamed or boiled rather than baked. At their best, they are so fluffy and delicate that they must be sliced with a thread. The resulting slices are sop-up-your-sauce perfection. You can’t mention food and drink in the Czech Republic with bringing up beer. 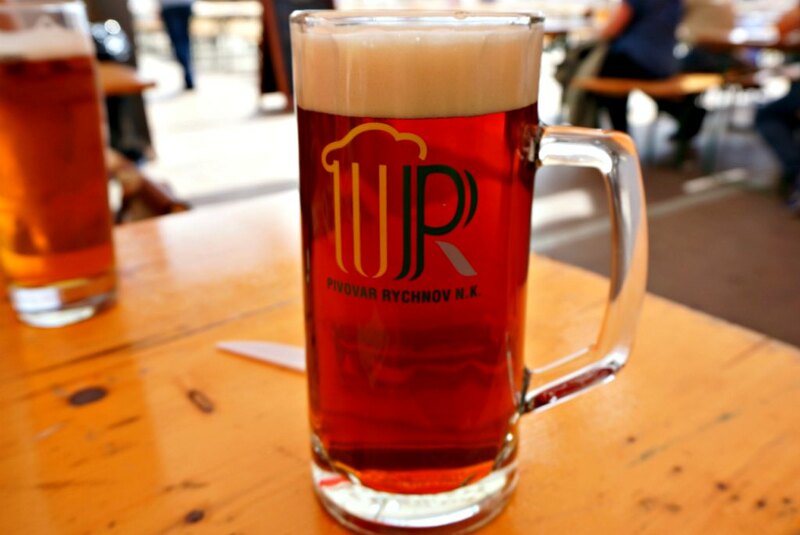 For a pilsner, you’ll find the famous Pilsner Urquell in most bars and restaurants, and it’s definitely worth trying. But beyond the pilsner, there are local breweries and brew pubs that all have their own specialties, ranging from pale to dark beers, even unfiltered wheat beers and IPA’s. We visited the Prague Beer Festival while we were in town, and they were highlighting over 70 different beers. Can’t decide on a beer to try? Ask a local. Since the Czech Republic is the country with the highest beer consumption per capita in the world, you’re likely to find an expert opinion. 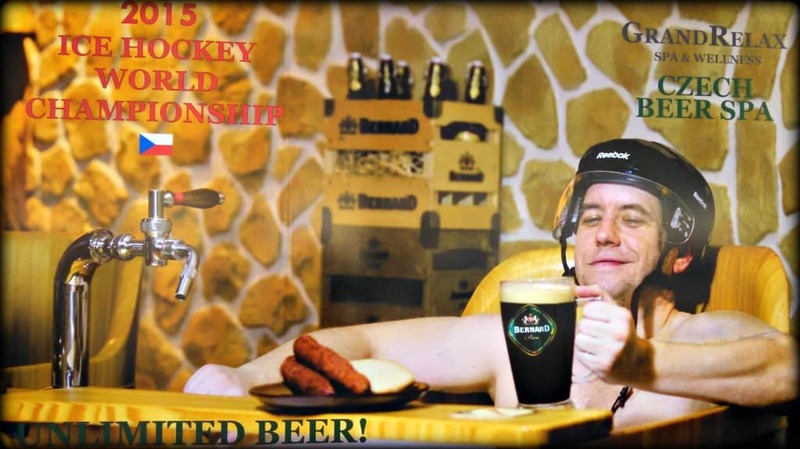 And, if drinking the beer isn’t enough for you, the marketers in Prague have come up with another option. You can enjoy your Czech beer while soaking in a tub of it, complete with it’s own tap. The locals that we spoke with definitely turn their nose up at this new phenomenon as a tourist trap, but you can’t help but admire the places for their advertising. There’s a lot to choose from in pickled options in Prague, some sweet, some sour. So when a friend of ours ordered this pickled cheese (which is actually a Czech variety similar to Camembert called Hermelí­n), we were expecting a strong, sour flavor. Instead, it was surprisingly mild, a soft cheese with just a touch of sour from the pickling juice, served with some pickled onions. Later I noticed that this one of the standards of Czech cuisine at pubs here, with oversized jars of the stuff sitting behind bar. 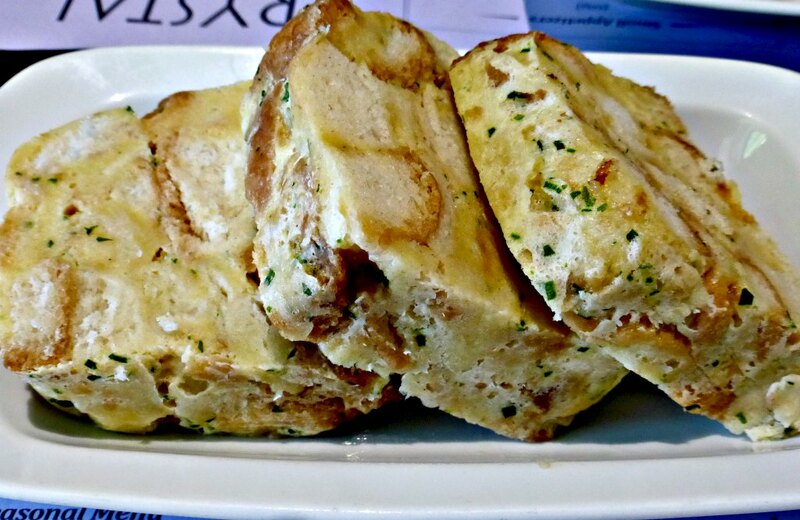 Served with crusty bread – its another perfect accompaniment to your beer. Do you see a pattern here? The plate arrived with a huge piece of meat — definitely plenty for two, or more. The juicy pork meat was barely holding onto the bone, and was layered with fat which kept it moist during the roasting process. But the crispy, crunchy skin was the star. And, yes, we finished it! Ok, so this treat actually has its origins in Transylvania, and is a relatively recent import into the Czech Republic, but it’s quickly become a staple. You find tented stands cooking and selling the sweet snack in all the outdoor markets (it even made our blogger’s list of the Best Street Food I Ever Ate). Dough is rolled out and then wrapped around a wooden or metal stick, creating a long cone. The dough is then cooked over an open coal fire, and when ready slides easily off the stick. The snack is then broken into smaller cones, and rolled in a combination of sugar and walnuts. Part of the fun is watching it being prepared, but eating the still warm, almost-too sweet snack isn’t bad either. Yes, you read that correctly. What is Pho doing on this list? The Vietnamese community is the largest immigrant community in the Czech Republic, due to a worker exchange program between communist countries that flourished until the fall of the Iron Curtain. After the collapse of communism, many guest workers decided to stay. Noodle shops have sprung up throughout the city, and are particularly popular with young Czechs. And like every place we go, if there is a crowd there, we don’t question it, and just go eat. 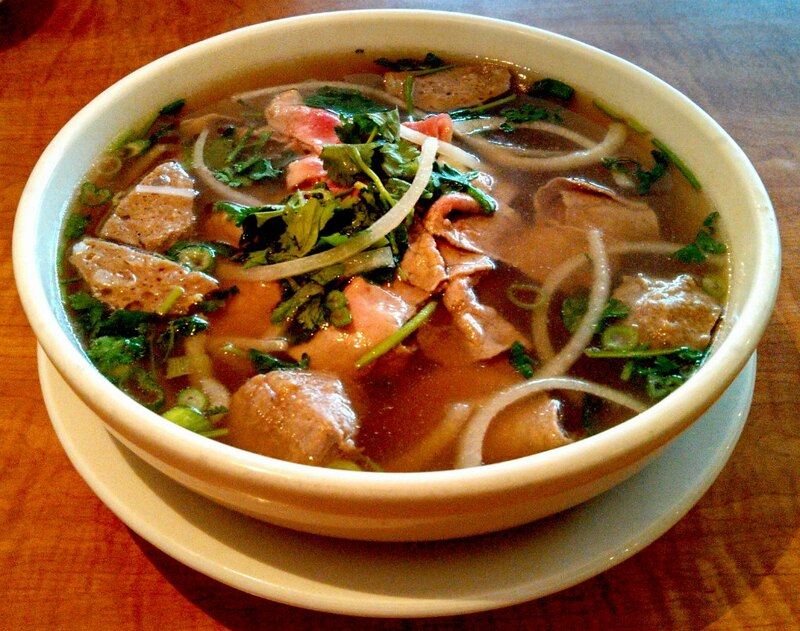 The Vietnamese restaurants are always crowded at lunch. Since the city’s time as part of the Austro-Hungarian empire, strudel has been adopted as a traditional Czech food. And why not? The delicious, sweet dessert (or snack, or breakfast, or anytime, really) is available in a huge array of flavors. Every restaurant has its own recipe so you can enjoy tasting several in order to find your absolute favorite – just to be sure. 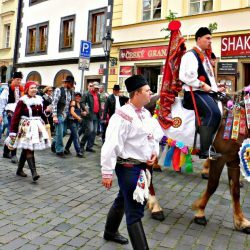 Generally, the Czech Republic isn’t known for its wine. 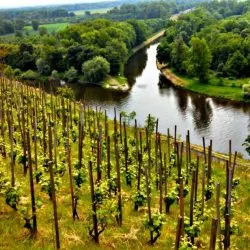 Almost all of the country’s wine production is centered in southern Moravia, an area with a long history of wine production, but which (like many areas under Soviet control) suffered in quality under communism. Moravian wines from private wineries have more recently begun to get recognized, winning a number of awards, but it can still be tough to find them outside the country. 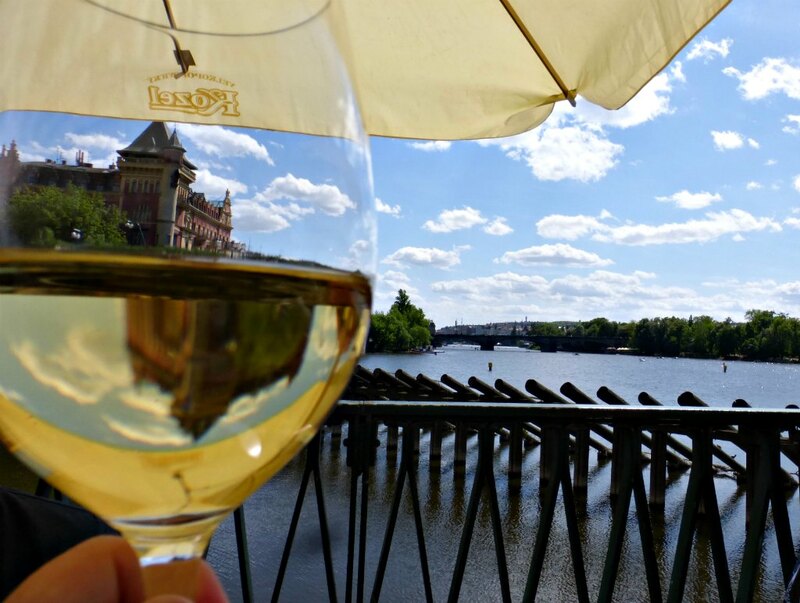 It’s worth tasting some Czech wine during your visit to Prague, maybe even while sitting by the river watching the sun set. 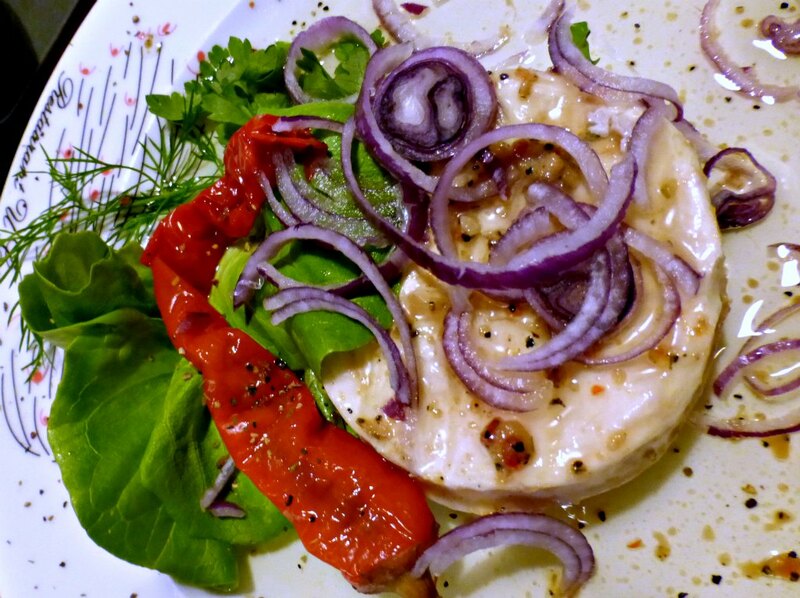 We could have told you about all of the vegetarian cuisine and restaurants with specialty salads that you never would have seen on the menu a few years ago. And do try those – there are lots of inspired chefs who are doing wonderful things with lighter fare. But many are also reinventing traditional favorites, infusing new ingredients into the old to create something new and unique. Have you been to Prague? What dishes are “must eats” that we may have missed? We’d love to hear from you. A Special Thank You to JayWay Travel, specialists in custom tour packages to Central & Eastern Europe, who hosted our time in Prague. As always, all our opinions are our own. As a vegetarian, I had a hard time indulging in local cuisine when I was in Prague – so much of it includes meat! This is a great list with a few ideas for me to add to my list for next time. There are multiple all vegetarian restaurants in Prague that have some of the best food I’ve ever eaten. Hope you get to go back and find them! We usually avoid the sweet stuff, but yep — the strudel is to die for. Yep, we logged a lot of miles along the riverfront trying to burn off enough calories for the next meal! It all looks so tasty, especially while hanging out in the beer spa! 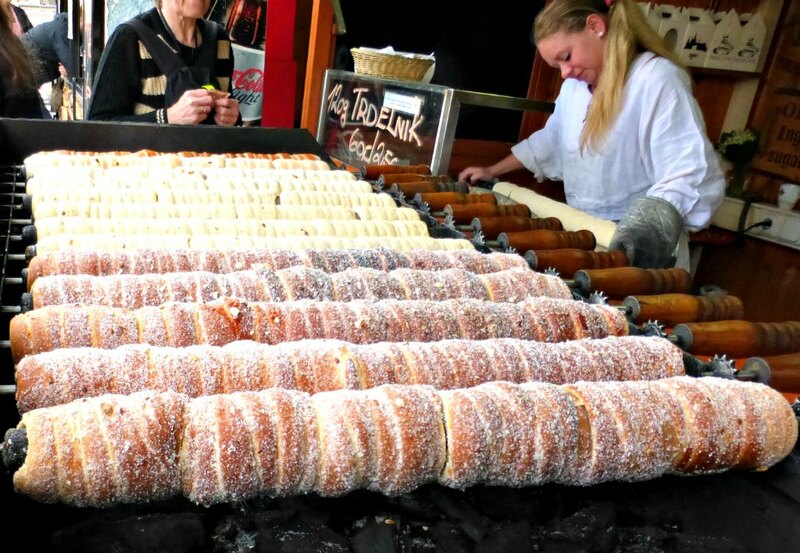 I have such fond memories of Prague and the tredlnick right deserves a spot on your best street food list. When I was in Prague I went to a bar where each table had it’s own beer tap. Projected on the wall was a running total of which table had poured the most. This was a pretty unique drinking experience but having a beer while soaking in a tub of it, that’s just taking it to the next level! There’s actually an entire beer spa in the Czech Republic – they swear its healing. But who knows? 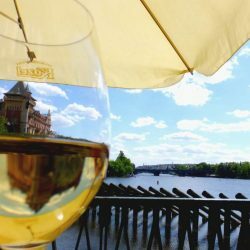 I’ve spent a couple of summers in Prague, and it’s a fascinating place and yes, the food is a highlight. Yum…..I went to Prague many years ago and though I cannot remember what I ate â€“ I do remember the excellent beer (which is saying a lot since I am not a big beer drinker). I would love to try the pickled Camembert cheese. I will go to Prague next week. I will note them all. 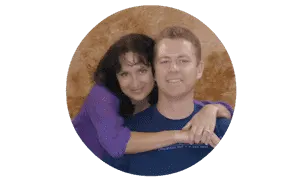 Thank you for all these great tips. Prague is a wonderful place. Have a great time and enjoy the food! Ok, based on that list, we need to head back to Prague! Medovnik is a must! It’s a honey and nut cake with thin layers and cream between! This is a must! Also some of the best potato salad…I never was a fan before there! We just got back from a trip to Prague and Munich, I can attest to the Port Knuckle and the Beer! I would add Goulash, though. It was excellent. I also loved their ovocne knedliky- fruit dumplings with butter, cinnamon, and cheese toppings. A great sweet dish! I’d love to go back to Prague! You’ll have a fantastic time. 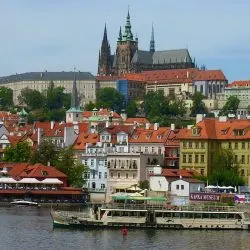 Going to Prague next year on a tour, thank you for some foodie ideas. My husband daughter and I will check out a few of these! The food in Prague is amazing. And the crazy thing is that its super inexpensive( at least when I visited a few years ago). Great round up! We were just there for a week for Christmas 2017. Incredible markets and so much fun. This was our second trip to one of the most beautiful cities we have visited. Several treats we never miss are having Steak Tar Tare, and of course Utopenci! Neither vegetarian but wonderful. And no trip would be complete without some duck!